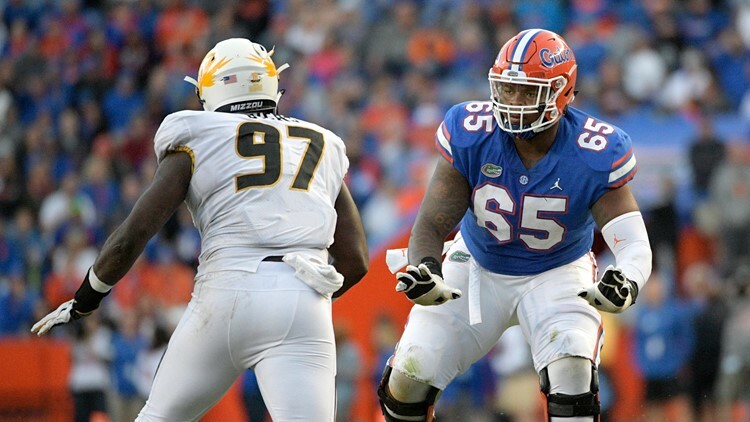 Ahead of the the 2019 NFL Draft on April 25, First Coast News is diving deeper into ten of the Jaguars' top draft targets. This is a series and will be updated each day ahead of April 25. He only suited up for the Black-and-Gold for two seasons (he red-shirted his freshman year), but Hockenson has the makeup and muster to be a great blocking and receiving tight end. 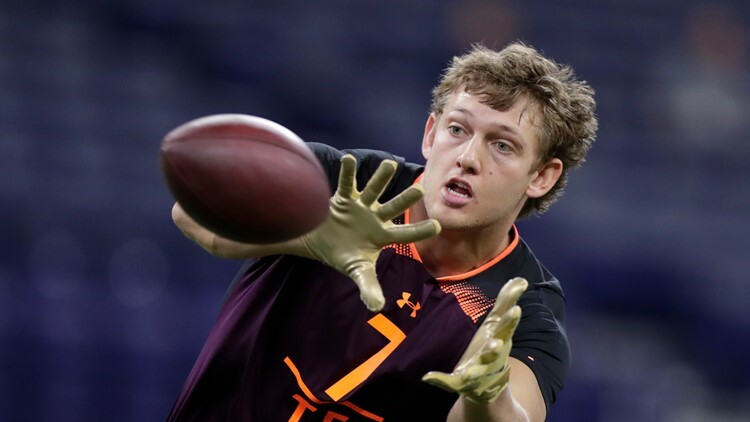 He only had 320 receiving yards and three touchdowns in 2017, but Hockenson doubled those numbers this past season – even while sharing snaps with fellow, projected first round draftee, Noah Fant. Hockenson started 13 contests and led the Hawkeyes with 49 catches for 760 yards and six touchdowns. 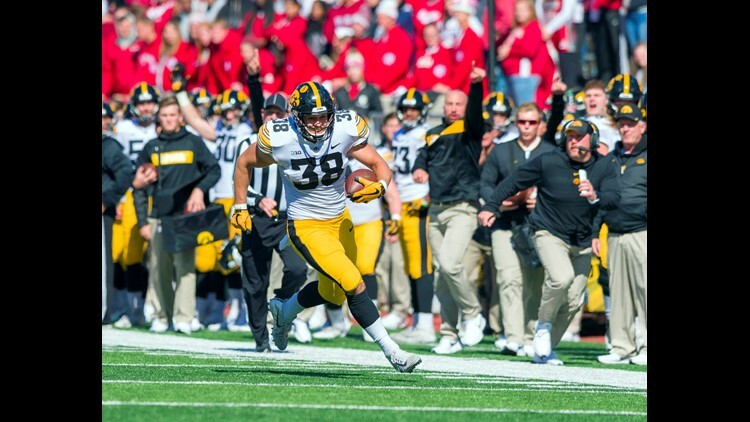 Hockenson went from red-shirting to, two years later, Mackey Award winner. 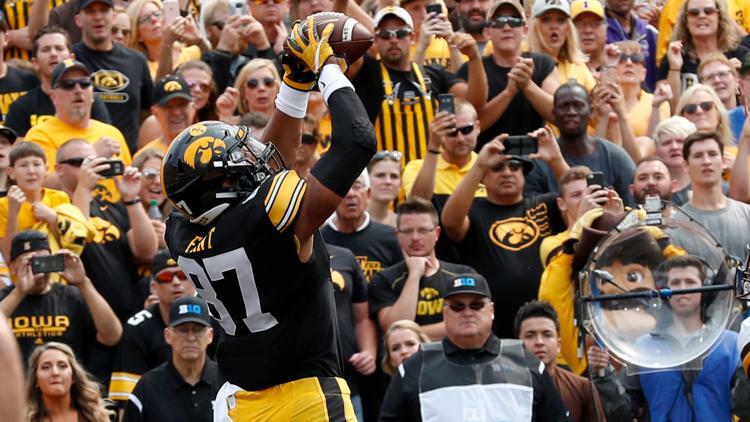 The Iowa tight end room was loaded in 2016 when Fant arrived on campus – including Pro-Bowl’er George Kittle and fellow first-round hopeful T.J. Hockenson – but Fant still managed to break through his freshman campaign, even if in a limited role. A nine-catch, 70-yard rookie campaign catapulted him to a monster sophomore campaign: Fant caught 30 passes for 494 yards and 11 touchdowns. Despite sharing pass-catching duties with Hockenson, he still managed to haul in 39 passes for 519 yards and seven touchdowns this past year, and earned All-Big Ten and third-team AP All-American honors. He ran a 4.5 40-yard dash at the NFL Combine. Taylor has been a starter since his first year on-campus, garnering Freshman All-American and Freshman All-SEC honors after starting 12 of 13 games. The big question many scouts have is if he can play both right and left tackle; Taylor did just that his sophomore season, starting the first nine games at right tackle and the final two at left. Despite not garnering any post-season honors this year, he played in 12 games and was regarded as one of the best lineman in the country by NFL scouts. Taylor played all of 2018 at right tackle.